I have been blogging for almost 4 years and I am very lucky that sometimes I get sent products from companies to try out and then to share with you guys. 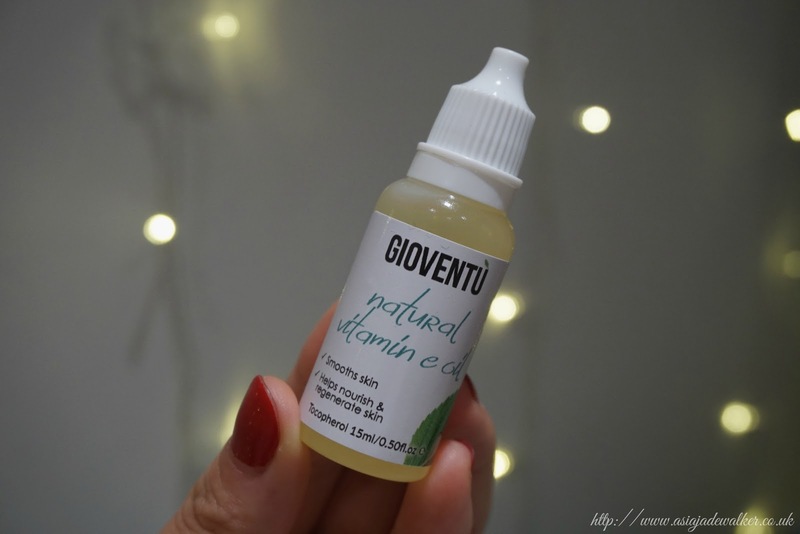 The lovely team at Gioventù Cosmetics reached out to me to see if I wanted to try out their natural vitamin e oil. Of course, I said yes as ever since I suffered from acne as a teenager I always try to look after my face as best as I can (on a budget that is anyways). As most of you will know my skincare routine only consists of about 3-4 products in total. I don’t like using multiple products and I’m quite lazy when it comes to my skincare routine anyways. However, I am always looking to improve it however, I can. For many years I have stuck with the same products so I think it’s time to introduce some new ones into my routine. 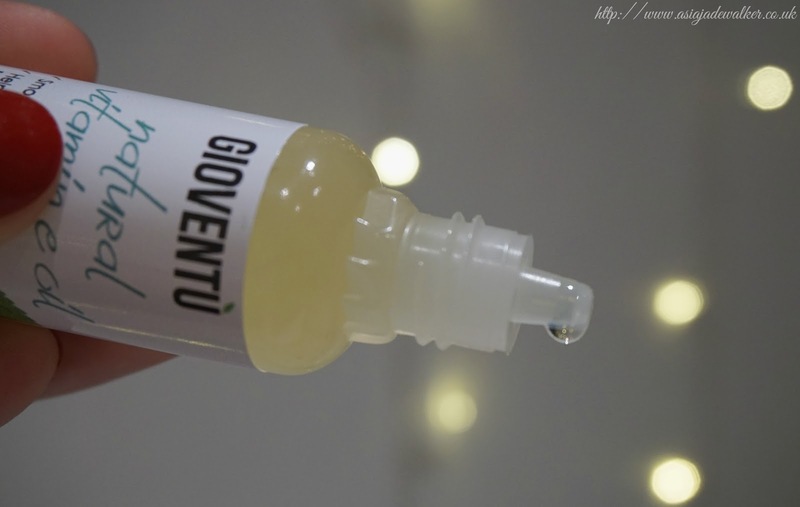 Gioventù is a UK based cosmetics & skincare brand whose products are organic and cruelty-free. They launched in 2016 and have three types of skincare products at the moment. These are Natural Vitamin E Oil, Moroccan Argan Oil & Organic Coconut Oil. You can get the products in two sizes as they do a travel size of 15ml and then a larger one which is 100ml perfect for keeping at home. The one that I was kindly sent was the Natural Vitamin E Oil in the 15ml size. The product retails at £2.99 for the 15ml bottle and then at £6.99 for the 100ml. For the other ranges, the prices vary depending on the size and type of product. Ever since I was a little girl I’ve always thought of oils as being a luxury. I always used to see my mum use them on her face and back then there weren’t many affordable face oils. Fast forward several years and now there is a whole market of face oils that everyone can afford. What I loved most about this oil is that although it’s incredibly nourishing it’s not thick at all which I was slightly worried about. 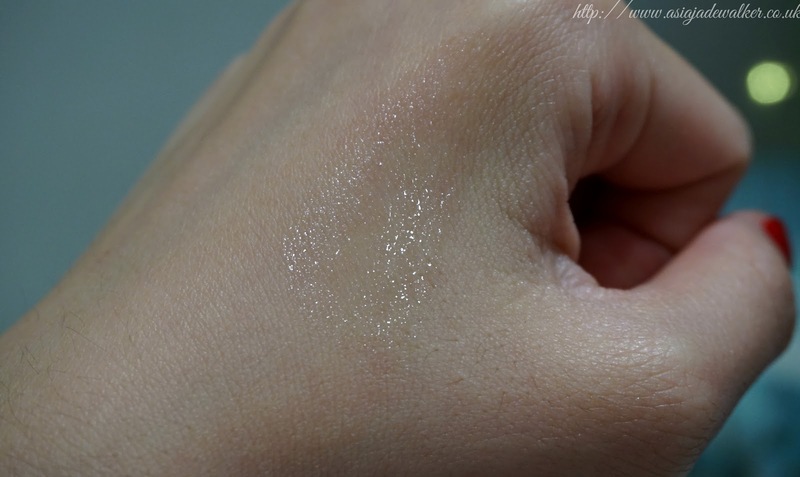 It’s a very light consistency and sinks into your skin almost immediately. What I have learnt over the past couple of days from using this is that a little goes a long way. It makes your skin feel super soft afterwards and you can tell it makes you look a lot healthier and more awake. From reading Gioventù’s website I have learnt that although Vitamin E Oil is amazing for your face it can also be used to treat other issues that you may be facing. You can use the oil to treat your cuticles, rough skin, dry lips, wrinkles & brown spots. You can find out more about this over on their product page here. I’m certainly going to be using mine for a face moisturiser as well as to help my dry lips as I suffer from really bad dry lips during these months and you can often find 3 or 4 different lip products in my bag. I want to try and inject this oil into my skincare routine at least twice a week as I think it will make a big difference. You can get 10% off your first order by using code ‘gio10’ at the checkout. If you are thinking of trying out their products then you could purchase one of the smaller bottles first to test it out before buying one of the regular sizes. 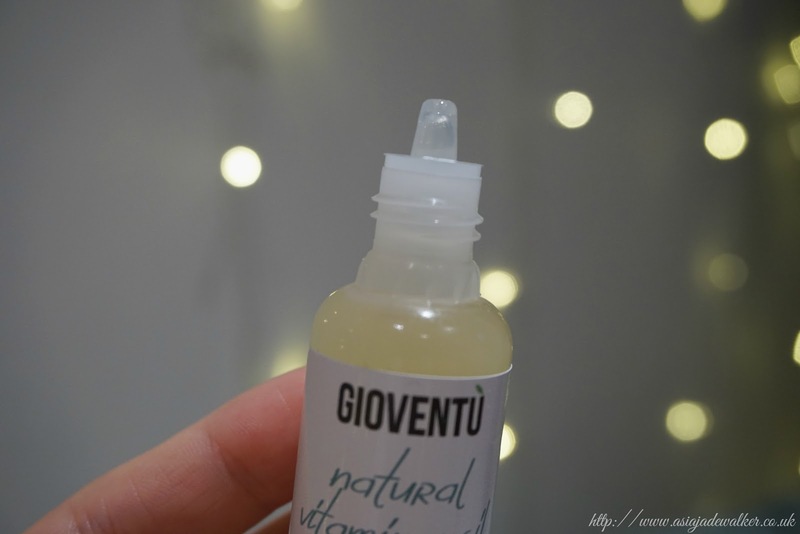 Thank you so much to the team at Gioventù I’m really hoping that this helps me clear up a bit of discolouration that I have underneath my bottom lip where I lick my lips a lot when they’re dry. I can already tell this is going to be a lifesaver during the colder months! "Wishlist | Carli Bybel X Missguided A/W 17"
"It All Started On October 24th 2013"